The aim of the New Digital Rights MOOC -project is to make citizens more aware of their digital rights, initially focusing on explaining GDPR and MyData. The solution is to educate people through a MOOC-platform and series of workshops that create the content and train people and organisations to use it. MyData is the biggest single part of our work in Open Knowledge Finland at the moment and we’ve made a whole conference around this human-centric model of personal data management. It is very much entwined with the changes in the GDPR and we felt that while we made people aware of relevant changes in the European data protection, MyData can be explained in parallel to the GDPR, in a separate, cross-referenced module. As of now, there will not be a better time to make GDPR understandable, than the very year it it will be enforced. We’ve started the work already and will be done just seven months after it is enforced. For our project to get funding from ISOC, we needed to support their mission, which is “to promote the open development, evolution and use of the Internet for the benefit of all people throughout the world”. Your insights are needed! Join in the discussion! We use especially Facebook and Slack as our key channels for discussion. On Facebook: join the GDPR for Citizens group. 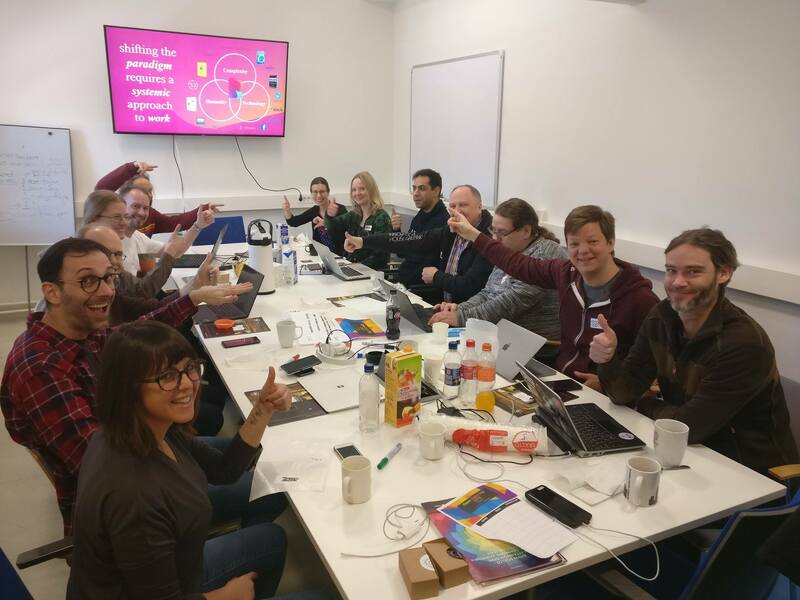 On Slack: join the Open Knowledge Finland Slack – and join the channel for this project. Our project is implemented as openly as possible. All our project documents are accessible by anyone at our project folder. The MOOC itself will be open to everyone as well and the content can be used however people see fit. For the internet to evolve into the right direction and to benefit more and more people, we need to have citizens that understand their digital rights. That’s exactly what this project aims to do. The constituents of elected governments need to know their rights to elect people that respect those rights. We have created a project page on Open Knowledge Finland’s website, that has information on participating and following what exactly is happening right now.